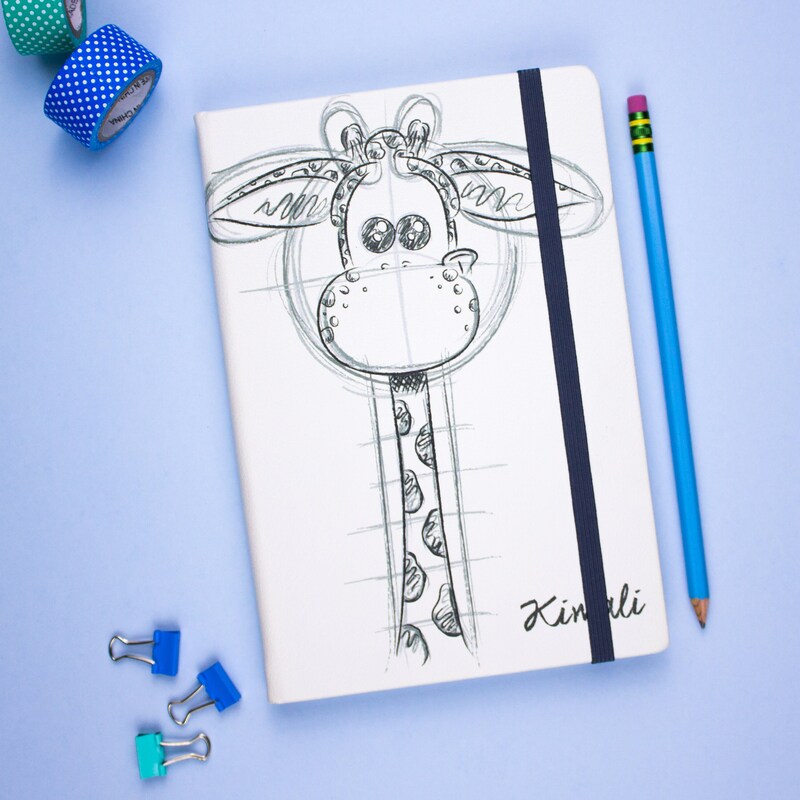 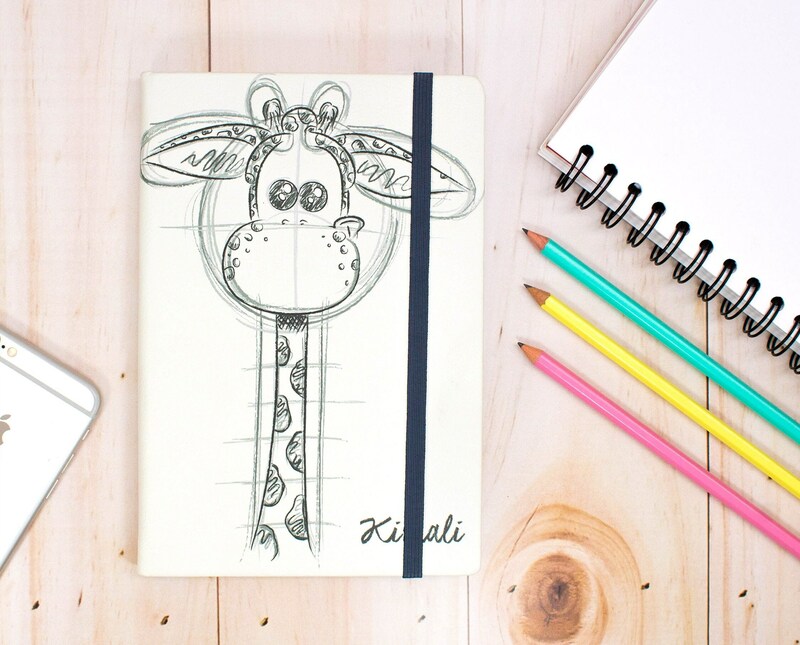 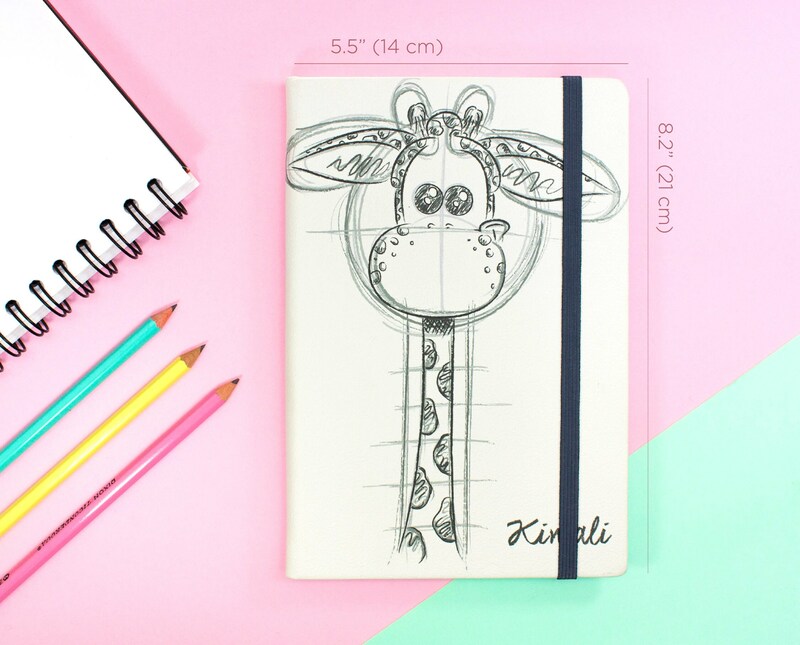 This hardcover journal features a charcoal sketch of our giraffe Kimali. 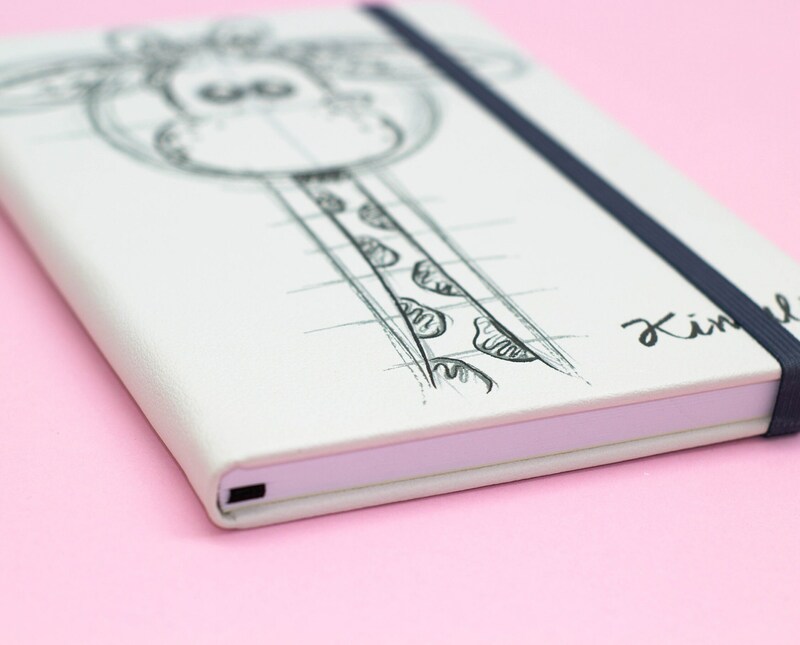 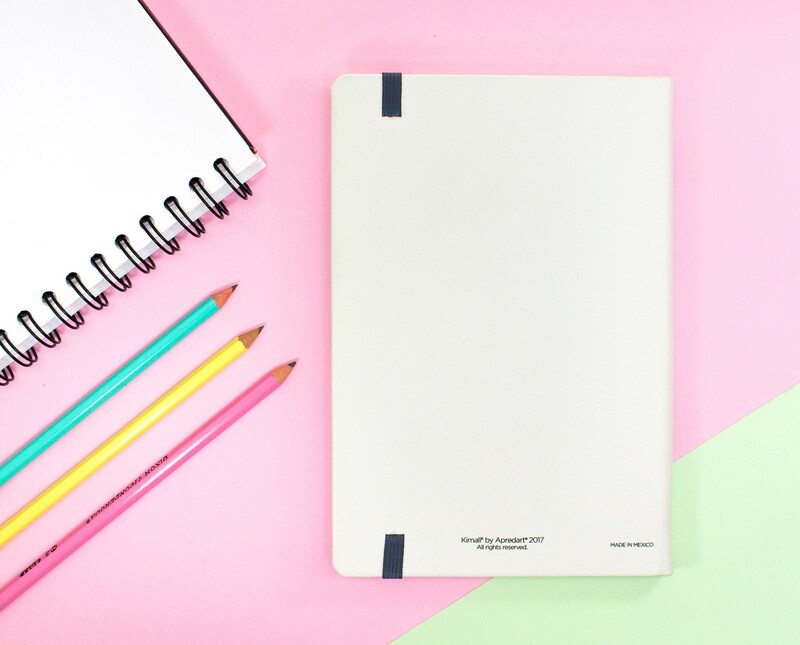 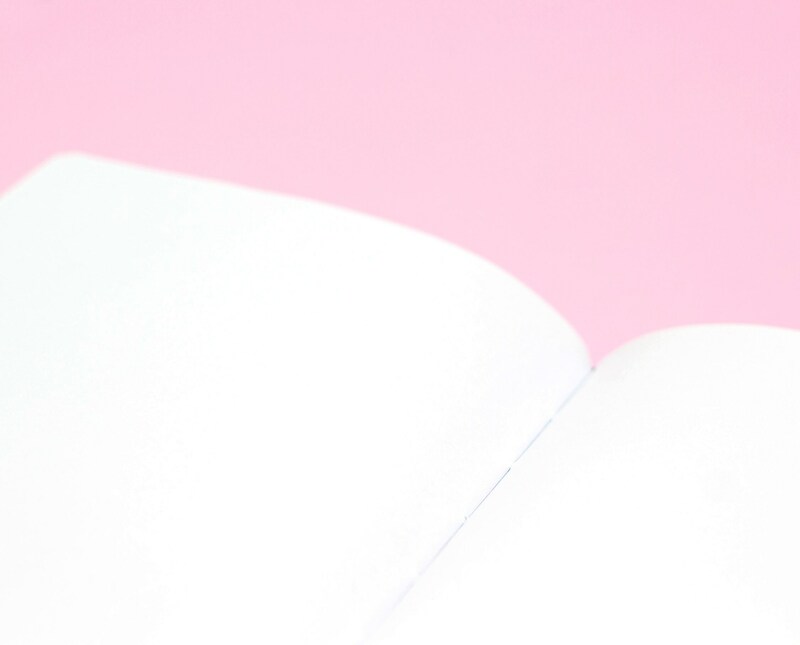 The illustration, originally drawn by Loïc Apreda, is printed in high quality on a faux-leather hardcover, and it contains 160 blank pages that you will be able to fill with all your doodles, sketches and amazing ideas. 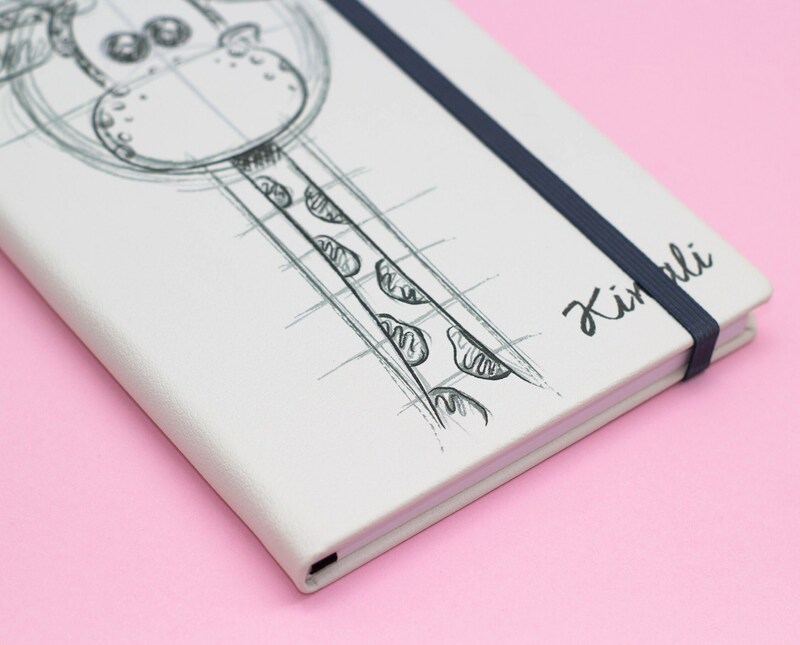 It also comes with an elastic band to keep it closed when you are not using it, and a ribbon bookmark.